In the national capital, gold of 99.9% and 99.5% purity edged up by Rs 225 each to Rs 31,075 and Rs 30,925 per 10 grams, respectively. A global upward move and increased buying by local jewellers pushed up gold prices. New Delhi: A global upward move and increased buying by local jewellers pushed up gold prices by Rs 225 to Rs 31,075 per 10 grams on Monday. Silver, however, held steady at Rs 39,900 per kg on scattered buying by consuming industries. Traders said a firming trend overseas, where gold strengthened on softer dollar as investors sought safe haven assets after the US government shutdown due to a funding impasse, influenced gold prices here. Gold rose 0.06 per cent to $1,331.40 in Singapore. Besides, increased buying by local jewellers to meet ongoing wedding season demand at domestic spot markets supported the upside, they said. 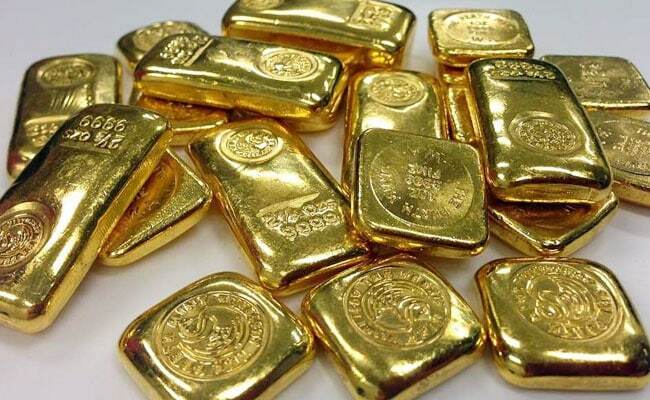 In the national capital, gold of 99.9 per cent and 99.5 per cent purity edged up by Rs 225 each to Rs 31,075 and Rs 30,925 per 10 grams, respectively. It had gained Rs 20 on Saturday. Sovereign also gained Rs 100 to end at Rs 24,900 per piece of eight grams in scattered deals. On the other hand, silver ready held flat at Rs 39,900 per kg on little doing while weekly-based delivery rose by Rs 145 to Rs 39,015 per kg. Silver coins, however, continued to be asked for at the previous level of Rs 74,000 for buying and Rs 75,000 for selling of 100 pieces.